Asians are good at math and science. They’re successful economically and academically. They are hard working and high achieving. While these tropes may seem outdated, they’re still well known and recognizable. Who are these ‘Asians’ that people keep talking about? While these sorts of comments might seem like compliments or affirmations, they are actually overly simplistic generalizations that reveal the devious and exploitative nature of race and racism in the United States. And they all fall under the model minority myth – a stereotype that generalizes Asian Americans by depicting them as the perfect example of an if-they-can-do-it-so-can-you success story. This myth is also a political strategy that highlights the success of Chinese, Japanese, Korean, and Indian immigrants with a specific professional and educational background. It is a historical and presently used tool designed to protect institutionalized white supremacy and validate anti-black racism. For a long time, Asian American activists have worked to debunk the model minority myth by discussing its negative consequences and impacts. Standing up against the myth has been a long-time call to action that has recently been re-incited by non-indictment verdicts for the murders of Eric Garner and Mike Brown, as well as the murders of many others in the Black community. This sentiment is currently amplified by social media movements like #ModelMinorityMutiny and #StartTheConversation, which push for Asian Americans to stand in solidarity alongside other communities of color and to debunk the model minority myth in everyday conversations about racism. Here are some ways to unpack why the model minority myth is used as a tool of oppression, especially one that perpetuates anti-black racism. 1. The myth fosters internalized racism within certain Asian American communities against other communities of color. In order to begin undoing the myth, we must also begin to tackle the ways we’ve internalized anti-blackness. Often, our communities use racist rhetoric that’s disguised as casual observation or advice: They just need to work harder, don’t date them, or don’t go to their neighborhood. Being cast as ‘perpetual foreigners’ fueled a desire for some Asian immigrants to survive by seeking ways to fit in and belong, to have access to the same resources and privileges as those with the most economic and political power – wealthy, white Americans. As a result, we sometimes subconsciously and consciously act protective and proud of that “model” status. If we’re the model of success, then surely we’ll be free from the persecution of those who don’t, won’t, and can’t adhere to the standard? Right? But it is through this very orchestrated messaging that we’ve been conditioned to forget that America is stolen land. It is occupied land. It is a country built on slave labor and the colonization of its indigenous people. Yet, America, to some Asian Americans, is viewed as a “promised land,” and many of us came to the United States with a belief that there were opportunities to live free from oppression. Moving forward, we need to re-examine who gives those promises, recognize the villainy behind why they were offered, acknowledge whom we are truly taking them from, and heal from the way they have hurt our diverse communities. 2. The model minority myth divides people of color and specifically serves as a tool of anti-black racism. Racial myths and stereotypes are often used as a “wedge” to divide groups, whether it’s creating unfair racial hierarchies or emphasizing elements of cultural and racial superiority and/or inferiority. In this specific case, the model minority myth is successful because it constructs Black people as a “problem” minority. It teaches some Asian Americans to compare where we are and what we’ve accomplished with where Black Americans are and what they’ve accomplished. It turns us into juxtapositions and situates us as racial binaries. Asian Americans have different histories of oppression than other communities, and it’s unfair to compare existing struggles. This is rarely talked about outside of activist communities, but some Asian immigrants were intentionally selected to be model minorities, which we’ll discuss more below. Rooted in the ‘pull yourself up by the bootstraps’ ideology, the term ‘model minority’ was popularized during the 1960’s Civil Rights Movement – this stereotype is racist to both Asian Americans and Black Americans. By creating a narrative that hard work equates success, it negates past and present structural barriers that interrupt success for different marginalized groups. The “success” of certain groups of Asian Americans was contrasted with the “failure” of African Americans. The myth comes hand in hand with other statements like, “If Asians can be successful by working hard, why can’t Black people?” It serves as a functional stereotype that uplifted the narrative of meritocracy and the American Dream. In witnessing family friends and relatives talk about their life experiences, themes of hard work and sacrifice are the most salient. My own parents believe that they have worked hard to get to where they are. At some point since they immigrated here, they have learned to believe in the narrative that anyone can find success if they just work hard enough. However, to accept any positive stereotype about the model minority myth is to also comply with a racist system that favors and privileges whiteness – and that is something that not only harms other people of color, it hurts members in our own communities. 3. The myth also serves to create “good” immigrants and “bad” immigrants. Immigration policies purposefully included and excluded certain groups. For example, the 1965 Immigration Act allowed Asians, specifically East Asians, of a certain educational and class background into the United States. However, the model minority myth equates voluntary immigrant experiences with the experiences of those who have descended from slavery and those who arrived involuntarily and/or by force, such as a result of war or U.S. colonization and expansion projects abroad. My parents immigrated to the U.S. seeking political freedom and better economic and educational opportunities. Yet, these freedoms and opportunities are actually limited. They are offered as placations that obscure violent histories and institutions of slavery, colonialism, war, and genocide. These opportunities selectively include and exclude different communities’ ability to participate. 4. The myth flattens and erases Asian American identity. Asian American identities that don’t abide by the model minority rulebook are deemed invalid. Our validity and value is determined by our utility in preserving the racial hierarchy. Not only is it eugenic to ascribe character traits, like quiet, polite, and obedient, to an entire racial group, the myth prevents coalition building within our diverse Asian American communities. There are radically different histories, experiences, and oppressions across the Asian American diaspora, yet often, we are lumped together as one ambiguous other. Whenever people think about ‘Asian’ identities, they think specifically of East Asian identities, such as Chinese, Japanese, or Korean. Other groups in the Asian and Pacific Islander diaspora are erased, and their lived realities and challenges are diminished. Assuming all Asians are the same, the myth also creates a mono-dimensional Asian American without regard to intersections. It does not take into account class, citizenship, language, gender, sexuality, ability, religion or other social identities. 5. The model minority myth is used to deny racial justice. In invoking this myth, policymakers also fail to recognize existing inequities and create access for Asian American and Pacific Islander (AAPI) subgroups and other racial groups. The myth makes the economic and educational struggles of low-income AAPI families, Pacific Islanders, Southeast Asian refugees, undocumented immigrants, and other groups invisible – its unambiguity and inaccuracy makes it a convenient narrative that prevents solutions to racial and socioeconomic inequity. For example, only 12-13% of Hmong, Cambodian, and Laotian Americans have a college degree and less than 10% of Samoan-Americans do. 2.3 million Asian Americans are uninsured. AAPI groups suffer from physical and mental health disorders due to lack of culturally competent care. They’re left out of leadership roles at the top of organizations. Many AAPI groups also live in poverty, face labor exploitation, and are disenfranchised from the education system. Focusing on those that are doing well makes the issues of those who aren’t far less visible. We also need to begin to understand different histories and state policies in order to tackle the construction of one model minority against a problem minority. Historically, the myth was created to diminish the Black community’s demands for equal rights during the Civil Rights era. By creating a racial hierarchy, the myth also started to prevent solidarity movements between the two communities. 6. The model minority myth erases shared histories of oppression and of solidarity. There is a long legacy of solidarity and shared oppression between Asian immigrants and enslaved Black folks. Most versions of history disconnect the study of slavery from the study of Asian and Latinx immigration, leaving out stories of transracial struggle. Asian immigrants, such as the Chinese, have historically and strategically been thought of as both bridges and wedges between white folks and Black folks. For example, throughout the 19th century, Chinese “coolie” laborers, lived in an intermediary position between slavery and free labor. After the 1850’s, labor became explicitly racialized when Britain brought Chinese laborers to the Caribbean as a solution to suppress Black slave rebellion. The Chinese were given the social potential to form a “middle class family” in order to create a racial hierarchy with White people at the top, Black people at the bottom, and Chinese people somewhere in between. Black activists like Frederick Douglass link Black slavery and Chinese “coolie” labor together in system that strategically separated and these two racial identities and then exploited these divisions. In the 1920s, the black Brotherhood of Sleeping Car Workers issued a statement of solidarity with Filipino workers that were used to break a strike. During the 1930s, in Seattle, coalitions across Japanese, Chinese, and Filipino American communities emerged to fight against bills that would have made interracial marriage illegal. In the Mississippi Delta, Chinese workers were recruited to work cotton fields during the Reconstruction era. When contracts expired, some stayed to open grocery stories – these stores mostly sold to Black clientele and also offered an alternative to commissaries run by former plantation owners. Civil Rights movements helped end racist immigration laws against South Asians. In the late 1960s, Asian Americans were part of the Third World Liberation Strikes in Berkeley that launched the Black Power movement and inspired the Yellow Power movement. Asian American activists like Grace Lee Boggs and Yuri Kochiyama worked hard to build interracial solidarity and worked closely with leaders like Malcolm X. As a way to destabilize the model minority myth and construct an alternate history, historian Vivek Bald examined the relationship between Bengali migrants and the African American community in Harlem and showed how racial lines between “Asian-ness” and “Black-ness” blurred. Bengali migrants experienced anti-black racism and witnessed black anti-racist organizing. This history of cross-racial solidarity allows possibilities of a connected, holistic, radical movement towards racial justice. We can begin to resist oppression by unlearning Euro-centric narratives of U.S. history. Although the myth has created incentives for silent complicity in a racial system with “winners” and “losers,” this complicity costs us real solidarity and justice. How can we begin to act upon a commitment to social justice and build solidarity with those that we have also oppressed in our own struggles? Drawing from the title of the critical transformative justice anthology, by Jai Dulani, Ching-in Chen, and Leah Lahshmi Piepzna-Samarasinha: The revolution starts at home. This begins with reflecting on our own privilege, power, and identity. It means owning and admitting complicity in a racist system that we may feel guilty or defensive about. It means having vulnerable and sometimes difficult conversations with families, friends, and others that we love, respect, and trust. In beginning to have conversations with others like my parents, I also have realized that not engaging in the conversation is an underestimation of them. Assuming that they won’t understand or won’t care is an unfair and exclusionary characterization that they don’t have a place in racial justice movements. Asian American communities are not just bridges or wedges for other groups of color. Uniting under the term people of color allows for building solidarity between movements that also allows for different racial histories. In order to resist white supremacy in a meaningful way, we need to build coalitions across communities of color in order to share and redistribute power and combat racism rooted in anti-blackness and colonialism. Power can come from communities coming together to demand justice. This solidarity can help us more equitably redistribute resources and labor, take care of ourselves and each other, and center the needs of those most impacted by violence. By confronting the mutual enemy of systemic racism, these coalitions can disrupt history and cycles of oppression. Partnerships that are fluid, critical, holistic, intersectional, and inclusive offer solutions that include and address multiple perspectives and issues. We need to acknowledge past and present complicity and complacency in perpetuating anti-black racism and moving past guilt and desire for forgiveness. We need to truly want change. We can begin doing transformative, accountable work by knowing when to start speaking up without usurping another voice. We can have diverse, horizontal leadership across communities where all forms of contributions are valued. We can participate and show up the way others ask us to. We can begin to self-reflect on different forms of privilege and power. For me, in standing up against the model minority myth, I am also refusing further complicity in reinforcing anti-black racism. 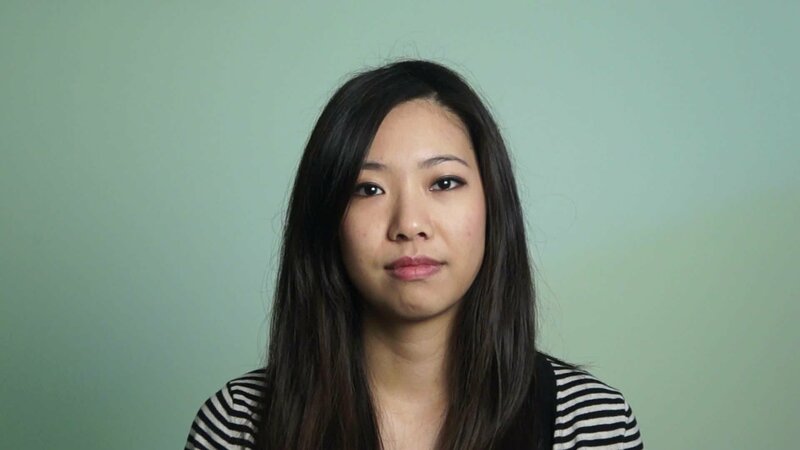 Rachel Kuo is a Contributing Writer for Everyday Feminism and a scholar and educator based in New York City. Her professional background is in designing curriculum and also communications strategy for social justice education initiatives. You can follow her on Twitter @rachelkuo.